There are many reasons for sleeplessness. Some are physical, some are mental, and some are environmental. According to new research, one environmental factor that is causing us to turn into a world full of sleep deprived humans is electricity. 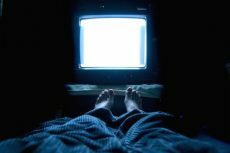 A team of researchers from several universities recently published the findings of a test of their theory that we humans sleep worse now than before we had electricity. They tested that theory by examining two hunter-gatherer tribes in Argentina that only had one significant difference — one has access to electricity while the other doesn’t. The researchers visited each community for a week during the summer and winter, placing bracelets onto the wrist of each study participant to monitor activity. The devices can track slight changes in movement, so a still wrist for a longer time implies that a person is sleeping. The sleep-pattern differences observed between the communities can be seen as an example of how our ancestors likely adapted their sleep behaviors as livelihoods changed and electricity became available. “Everything we found feeds what we had predicted from laboratory or intervention studies, where researchers manipulate certain aspects of light exposure. But this is the first time we’ve seen this hold true in a natural setting,” said lead author Horacio de la Iglesia, a University of Washington biology professor. Past research has shown that artificial light can disrupt our circadian clock and sleep-wake cycle, effectively pushing them back when we turn on the lights in the evening. The researchers have documented this from their observation study, and they plan to look next at whether the later sleep onset and reduced sleep in the community with electricity is due to a shift in the biological clock by measuring melatonin levels in the two communities.